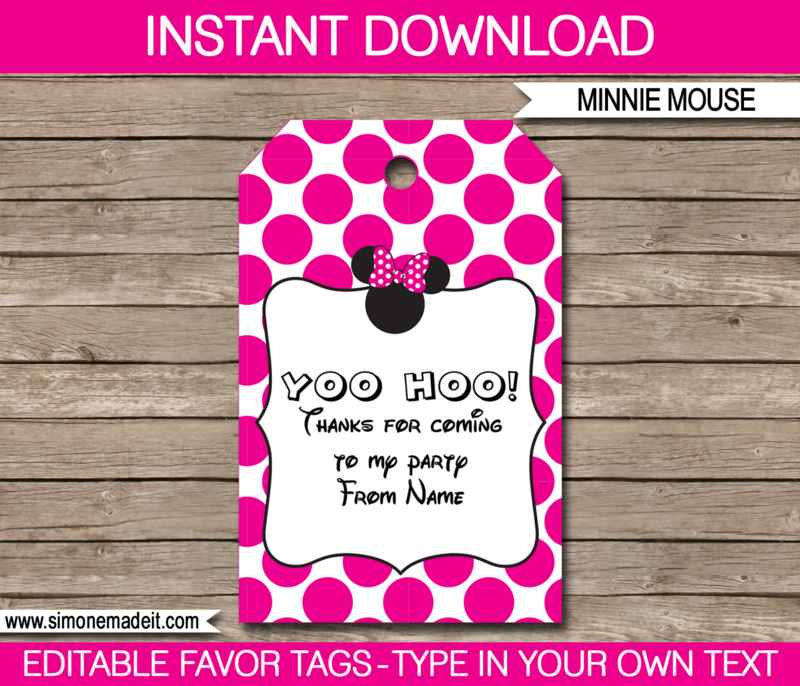 Download, edit and print this Minnie Mouse Party Favor Tags template now! Personalize with the birthday child’s name (and even your own wording) by yourself. PDF file with 8 tags per page. Each tag is 2.25 x 3.5 inches. Download your Minnie Mouse Party Favor Tags template immediately after your payment has been processed.